Donated by the Suburban Journal’s Hall of Fame at an unknown date and transferred from Marketing to Special Collections in 2017. Individual items donated by Roy Cummings, December 15, 1988; Margaret Sheppard, December 15, 1988; W. F. (Bill) Cento, November 13, 1992; Tom Gosebrink, April 2000; Mary Jo Goellner (donation date unknown); D. Goodrich Gamble (donation date unknown); Kristina Impastato, July 2017; three items found in the SLPL Maproom, October 2017; Individual items transferred from Special Collections, March 2019. The collection was assembled in Special Collections in January 2014. The collection has brought together many donations made by the St. Louis History Media Foundation, Frank Absher, Charles Klotzer, and A.J. Cabanellas. The Suburban Journal box was integrated into the collection. This collection was originally kept as its own collection within the Media Archives. Processed by: Sarah Cain, January 2014; Kristina Impastato, July 2017; March 2019. Conservation notes: All items placed into archival boxes and acid-free folders. Staples and metal paper clips removed. This collection is a vertical file for publications (mostly newspapers, journals, and magazines) produced in metro St. Louis and the surrounding area. Some folders also contain a representative sample of the publication. One folder containing sheet music. The Suburban Journals series contains memorabilia along with clippings. In 2002, the Suburban Journal of Greater St. Louis partnered with SLPL to install a display case of the Old Newsboys Hall of Fame in the Great Hall at Central Library. The original intent was to have a permanent tribute case featuring Hall of Fame annual award items on view at Central Library. 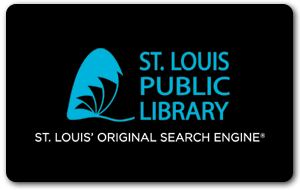 The aim is to collect a representative sample of all publications produced in metro St. Louis and the surrounding area. Publications not included in this collection because they have their own discrete collections are the following: Ad Club magazine (Ad Club Weekly; Monthly; Bulletin; Ad/Mag; St. Louis Advertising), Courier (St. Louis Press Club), ReEvening Whirl, Extra Pointer (St. Louis Quarterback Club), Jet Lag, Missouri Press News, Missouri Ruralist, Noisy Paper, Prom, Radio and Entertainment In and Around St. Louis, St. Louis Fan, St. Louis Globe-Democrat, St. Louis Journalism Review/Gateway Journalism view, St. Louis Post-Dispatch, The St. Louis Sun, TV Review and Woman’s Magazine. Clippings about Prom and Evening Whirl are kept in this collection. Within subseries, arrangement is alphabetical. Restrictions: Some items are under copyright. Permission required to reproduce images. Some fragile items. The collection is still growing and the number of boxes as well as their contents may change. Plate is loose from original mounts in the Golden Plate Award and is stored at Compton. Date of publication sample included with appropriate folders. 12 boxes; 2 oversized folders, 1 oversized frame; 9.10 cu. ft.
2/9 The American Illustrated Methodist Magazine. MA 14:13. 2/35 Country and Western Music. May 31, 1972. 3/11 The Little Redbirds. Volume 4, 1988. 4/29 The Sporting News (clippings). August 16, 2000. 5/27 St. Louis Music News. Ge-476/MA 00:03. August 17-31, 1981; August 31-September 14, 1981; September 14-28, 1981; October 12, 1981. 71/ Baden new-press. MA 11:05. August 19, 1964 (2 copies). 7/2 Belleville daily advocate. MA 11:05. August 16, 1946. 7/3 The Church progress. July 1, 1926; July 8, 1926; July 27, 1922. 7/14 The Interstate Grocer. May 29, 1915. 7/18 The New Menace [fragile]. May 8, 1920; May 15, 190; August 6, 1921; October 15, 1921; November 19, 1921 [incomplete]; January 23, 1922; March 4, 1922; March 11, 1922; April 1, 1922; April 8, 1922; May 13, 1922; October 28, 1922; November 12, 1922; November 18, 1922; November 22, 1922. 7/23 South St. Louis Neighborhood News. February 24, 1938. 7/29 St. Louis Daily Record. October 16, 1990. 7/33 St. Louis Republican. MA 14:07. December 4, 1873. 8/1 Die Abendschule. May 1915. 8/10 Kunkel’s Musical Review. September 1888. 8/11 The Mill Granite City Steel. February 1949. 8/18 St. Louis Furniture News. April 20, 1890. 8/25 USA Today. MA 17:03. Prototype #3, April 1982. 9/4 Suburban Journals of Greater St. Louis. Program; Commemorative plate. 9/5 Suburban Journals of Greater St. Louis. Pamphlet; invitation; clippings. 10/10 Old Newsboys Day, November 25, 2001.